In The Sustainability of Future Bodies, Critical Path brings together choreographers working in the nexus of dance and multi-mediated performance with electronic arts practitioners for a series of workshops to explore how electronic art can extend the physical body through choreography and performance. Critical Path is a choreographic research and development centre based at the Drill Hall, a large rehearsal space on the harbour in central Sydney. Critical Path’s mission is to cultivate a program of research opportunities for choreographers and dance makers, nurturing diversity and excellence in a supportive environment which fosters creative risk-taking. In partnership with Performance Space, Dance Sites Network and University of Western Sydney, with support from Institut Français and ISEA2013. Open internationally to ISEA2013 delegates; honorarium provided for 10 NSW choreographers/dancers, 2 WA choreographers/dancers (through STRUT dance), and (4 Australian interdisciplinary artists through Performance Space – due to funding these 4 honorarium are no longer available) to participate across the complete workshop series. 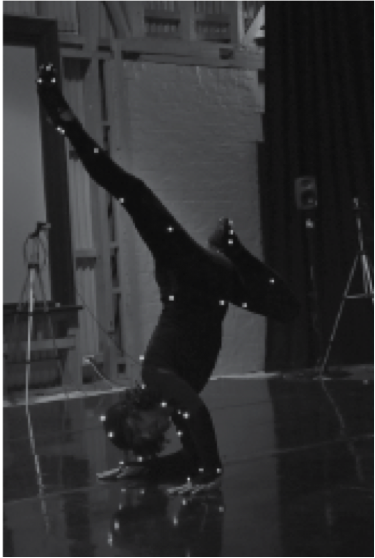 Interactive performance engages technologies from Motion Capture (MoCAP) and video tracking to bio-sensors and simple accelerometers, to control or generate music and visual content for a performance. Such practices raise a number of fascinating issues pertaining to embodiment, agency and dramaturgy. If the performer becomes the generative agent in a work (the instrument), they are no longer ‘dancing to’ the media, but generating it in realtime, thus extending their embodiment to the media itself. This transformation of relationship to media presents a profoundly different notion of agency, in which the dancer becomes a generative agent rather than a responder. Such changes raise issues regarding choreography (does the dancer become enslaved to the system?) and dramaturgy (if all actions are momentary how does one produce temporal forms?). 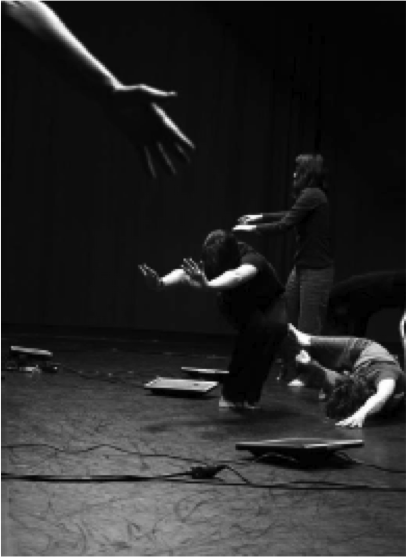 This workshop will explore some of the possible technologies and will also engage in questions of agency, embodiment and dramaturgy in relation to interactive performance. Dr Garth Paine is an Associate Professor at the School of Art Media and Engineering and the School of Music at Arizona State University. He is internationally regarded as an innovator in the field of interactivity in experimental music and media arts. His work has been shown throughout Australia, Europe, Japan, USA, Hong Kong, Korea and New Zealand. Previously the director of the Center for Choreographic Research and Composition (CRCC) at the Royaumont Foundation near Paris, Myriam Gourfink is a leading figure in choreographic research in France. She has featured as guest speaker at numerous international festivals. Please see details for Breathing Monster – Myriam Gourfink and Kasper Toeplitz. Presented by Performance Space and National Art School in partnership with Critical Path and Dancehouse for ISEA2013. Since 2010 Gazzola has been collaborating with French/UK artist Paul Granjon on the Experimental Body Extension Manufacturing Unit, which premiered at Campbelltown Arts Centre in 2012. Through EBEMU, ideas about physical body extensions are explored and prototypes of Wearable Hybrid Body Augmentations, partly made from discarded materials, are constructed. It investigates the performativity of new human/machine relations and the emotional/physical states that are inherent within such new forms. In 2012 Gazzola began a series of choreographic investigations to explore these built prototypes as performance initiating devices. Paul Gazzola has an interdisciplinary practice spanning over 20 years across arts, architecture, choreography, curation, installation, performance, scenography, video and theory. He was coordinating provocateur for the 2010/11 Splendid Arts Lab, and co-curated Return to Sender at Performance Space, Sydney.